Redcliffe, to the north of Brisbane, was the site of the first European settlement in Queensland. 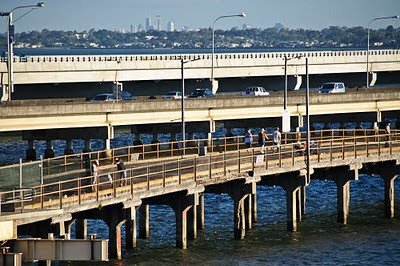 It is situated on a peninsula fronting picturesque Moreton Bay, and became a favoured holiday resort for Brisbane citizens seeking escape from the humid summers. Now it is home to many and a city in its own right. In earlier days, the only access was either by ferry across the bay or by taking a long road trip via Petrie. 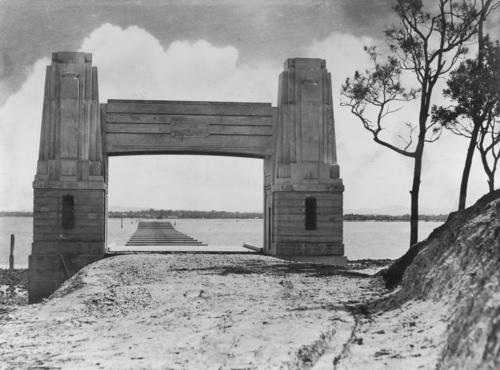 Queensland developer and entrepreneur Manuel Hornibrook had a vision of building a bridge across the mouth of the South Pine River to provide a more direct road route to Redcliffe. The idea may have been borne out of a desire to keep his employees at work during the depression years of the early 1930s, and Hornibrook needed to sell his vision to the State government to enable the project to proceed. His initial approach in 1931 didn't receive approval, but Hornibrook persisted, and he was finally given permission to build a toll bridge, raising the initial funds by public subscription. 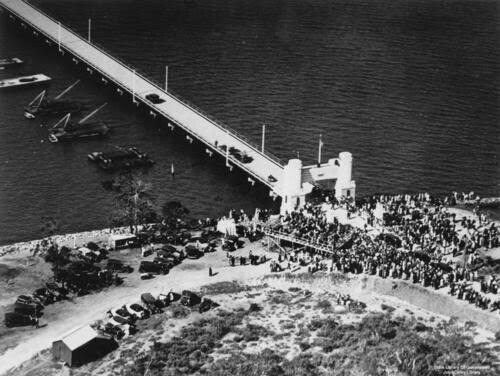 Work proceeded slowly as funds were raised gradually, but accelerated in later years as some government-backed loans were received from the AMP Society.The Hornibrook Bridge was completed in 1935, and here is a picture of it on opening day, 4th October of that year. 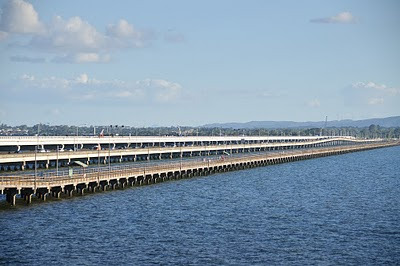 Despite the fact that it was always a very bumpy ride, and that the bridge seemed to rise and fall as if governed by the waves, it provided sterling service to the people of Redcliffe until 1979, when increasing traffic flow and the lack of a rail service to the area required the construction of a new bridge. The new bridge was named the Houghton Highway after a local politician, and the Hornibrook Bridge was closed to vehicular traffic from the opening of the new one, although it remained open to pedestrians and cyclists. It has also become a favoured fishing platform for many anglers. The original bridge will be knocked down, save for some elements that will be kept for the fishermen. 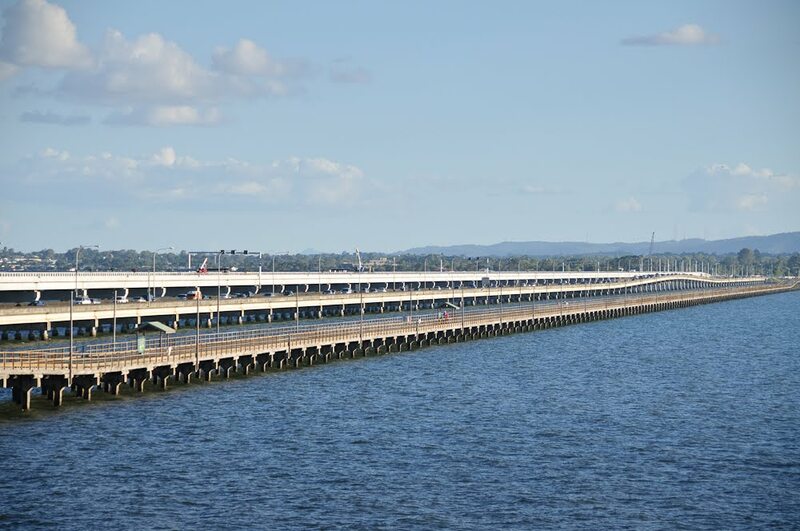 The following photo gives some idea of the length of water (at 2.7 kilometres in length across Bramble Bay, the longest in Australia) that has to be traversed by the bridges. The new bridge has been named the Ted Smout Memorial Bridge. 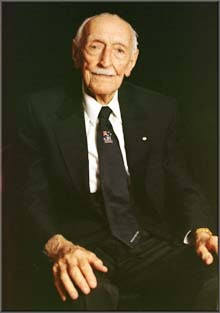 Ted Smout passed away in 2004 at 106 years of age, and was accorded a state funeral. He wasn't a bridge builder or a politician - he was an ordinary bloke from Sandgate, a suburb on the southern side of the bridge, who, along with thousands of his mates, was called on to do extraordinary things on the battlefields of Europe during WWI. His enduring message to his fellow Australians is that we should not glorify war. I think he was a national treasure. Here is his picture. In yet another local bridge-opening (next Sunday by my count, we will have opened four bridges and one tunnel since October) on 11 July, the Ted Smout Bridge will be opened to the public with a pedestrian walkover, the same way the Gateway Bridges were inaugurated. I hope lots of people walk the bridge in memory of this fine old digger. Such a shame that the Old Hornibrook Bridge is being knocked down. What an amazing photo of the 3 bridges. I drive over the the Smout & the Houghton regularly & have never seen Brisbane highrises in the distance! You must have had a very clear day. 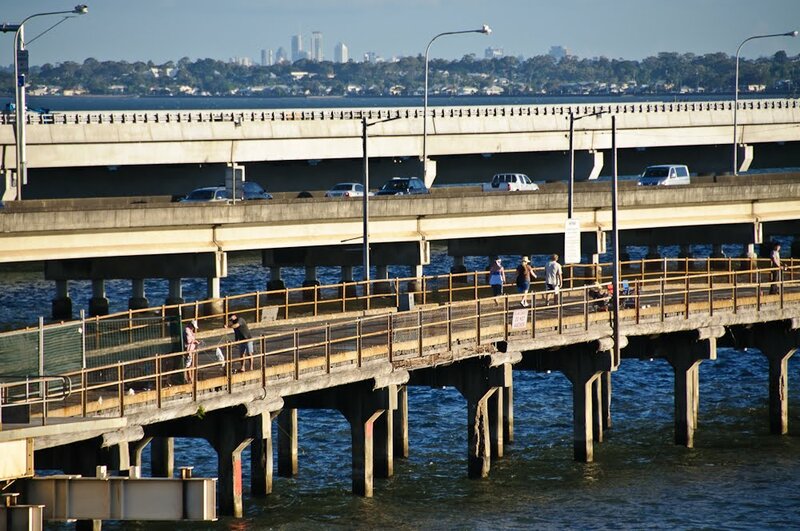 The Hornibrook bridge is almost completely gone now, & is already sadly missed by all the locals.